If you’re like me, you want your brainstorming sessions and new product development projects to be productive and you want the ideas you (and your team) come up with to be relevant to your business’ overall goals. That’s what this post will help you with – giving a little bit of guidance to your ideation/new product development efforts and some insight into how those ideas might fit into the overall plans of the business for the future. When coming up with a new idea, often it can be helpful to think through categories of ideas first. For example, I don’t know about you but my creativity is actually enhanced when there are a few constraints put in place to help me know what is in scope or out of scope. Additionally it can also be helpful to know how some ideas can contribute to the overall strategy of the company or organization. You may come up with a fantastic idea but if it doesn’t jibe with the goals of the overall business, it will most likely get scrapped. A breakthrough innovation is what most people think of when they think of innovation – something new, bold and way ahead of the next best thing. Additionally, a breakthrough product often combines the functionality of several different products all into one. This is how I would categorize many of Apple’s products during the Steve Jobs era – especially the iPhone. When the iPhone came out it’s simplicity, beauty, power (in terms of computing capabilities), functionality and ease of use put every other phone on the market to shame. Sure there were a multitude of phones that could technically do many things that the iPhone could. When it came out, I had a Palm Treo which was technically able to play movies but they had to be formatted perfectly in order to work. It could also play music, I could surf the internet (painful, but possible) and place phone calls but nothing even came close to the refinement of doing each of these tasks on the iPhone. Eventually the other manufacturers caught up but when it came out, it was several years ahead of the competition. This type of innovation represented a large, discrete step change in performance, technology and value provided to end users. Lack of a detailed understanding of the end user – without a sufficient understanding of users needs, new product ideas can become a grueling exercise in trial and error. Access to resources – regardless of how you slice it, making a totally new and breakthrough product will likely require access to a pool of potentially vast resources. But don’t get discouraged, if you have a breakthrough idea, you may be able to secure venture capital funding so long as the market and business case warrants it. Laser-like focus – one of Steve Jobs’ best quotes is that focus is about saying no to 1000 things. That’s the kind of focus that’s required to achieve a breakthrough. A detailed understanding of the end user – start with the idea of jobs to be done and go from there. Understand exactly what the job to be done is and build out your idea to ensure it gets the job done better than the next best solution. The right technical competencies – do whatever it takes to learn or acquire the skills necessary to execute on the idea. If you or your team has the expertise required or at least if they have a similar expertise then learn quickly and you will be able to execute the idea to fruition. From a strategic perspective, breakthrough innovations are usually along the lines of high benefit or differentiation potential. This means that if your company is built around the strategy of what I like to call benefit leadership for which you generally charge a premium to your customers, then breakthrough innovations are vital to your success. If you charge a premium, you’ll need to deliver premium value and breakthrough innovations are perfectly suited for this generic business strategy. However, if you have built your business around cost leadership then working on breakthrough innovations may not make much sense unless the breakthrough innovation could enable your customers to drive up sales volume of your low-cost products. This is exactly what Amazon’s strategy is with the Kindle tablet lines. Amazon has undoubtedly positioned themselves as a cost leader but their Kindle products tend to rival other breakthrough innovations from Apple, a definite benefit leader, in terms of value for the consumer. However, Amazon’s strategy is very different than Apple’s in that they only charge their marginal cost of manufacturing for their Kindle tablets. But the question remains, why would they go to the research and development effort required to create such a high benefit product? The answer is simple: the Kindle product strategy is not about selling more Kindles. It doesn’t help Amazon one bit to sell 100 or 100,000 zero margin products. That’s not the point. The point is that the Kindles will enable Amazon’s customers to more easily purchase Amazon’s suite of products that do actually have a margin (though still small) such as movies, TV shows and books. But in getting back to the original point – companies who live and die through premium products will need to continually innovate with breakthrough products in order to remain successful. Feature fixes/additions – most next generation products will come with a handful of fixes and/or new features that address previous gripes with the first generation products. Cost reductions – as sales volumes grow for a product, the cost of purchasing raw materials for that product decline in addition to design enhancements that simplify the product or enable it to use less expensive materials. Product line expansions (proliferation) – at launch most new products don’t have a full suite of products to meet each end-user segment’s needs and as a fix for that companies will fill out their product line by offering additional sizes, colors, etc. 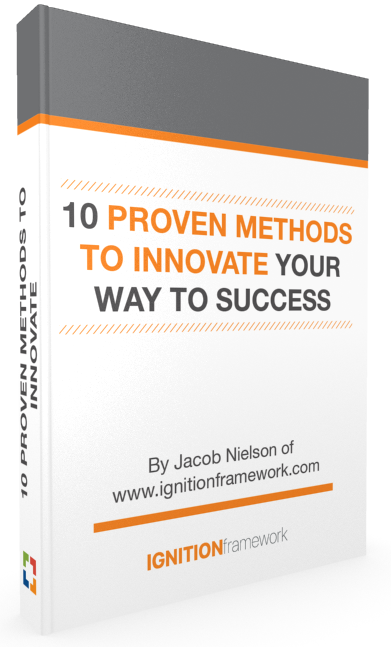 For most innovators, sustaining innovations are a necessary evil. It’s usually more exciting to think about what the next big thing is and how to go about disrupting the market/industry. But sustaining innovations and 2nd, 3rd, 4th gen products are a lot like the front line of a football team. They tend to provide protection (in the form of sustained profitability) for the hail Mary pass of developing a breakthrough or disruptive innovation for the business. This is why sustaining innovations are so vital to ongoing success – you need something that generates cash to fund future development efforts. With regards to strategy, sustaining products are all about milking the breakthrough product (a benefit leadership strategy) by extending it’s life cycle as long as it can go. Most breakthrough products will not last very long without a sustaining effort behind them. And this sustaining effort is where profitability is maximized because unnecessary costs can be removed and the benefits of the product (the value proposition) can steadily improve. Adjacent spaces – what industries or uses would you consider as adjacent? Often adjacent spaces are fertile grounds for introduction of your existing product(s) or service(s). Other jobs to be done – like in the Arm and Hammer example, baking soda was capable of performing multiple “jobs” for the customer quite well, even though at the beginning Arm and Hammer was only thinking of the job of baking. What other jobs does your product do? Could those be marketed for other customers? Customer usage studies – for some products, customers may already be using your product in new and different ways that you haven’t considered yet. Ethnographies or other observation type market research methods are best suited to bring those use cases to light. New market innovations can be extraordinarily successful if executed well. In some cases, all it takes to introduce a product into a new market is educating your customers, both current and new, about the other things your product can do. In other cases, in order to be successful in the new market you may need to make slight modifications to the product to better suit the new use case or application. Either way, new markets should be viewed as vast frontiers of unexplored territory where you may prove your solution to be highly valuable. The strategy behind new market innovations can fall on either cost leadership or benefit leadership. The reason is because if you have a product that is basically a premium value product (benefit leadership) in its existing form and you manage to successfully apply that product to a new use case then the value of your product will need to be weighed in light of the alternatives for the new use case. For example, if Arm and Hammer baking soda costs $4/box while most other baking soda brands cost around $2/box then it’s safe to assume that the Arm and Hammer baking soda is viewed as a benefit leader product. In other words, it performs the job of baking better than the lower cost alternatives. However, when used as a fridge deodorizer that same $4/box price will need to be weighed against other deodorizer products. For example if most fridge deodorizers costed an average of $8/bottle (or whatever the embodiment) then the Arm and Hammer baking soda is essentially a cost leader against the alternative deodorizers. This scenario is often what can make some products so successful when applied in a new way. You may have heard business professionals use the term “disruptive innovation” before. This fine example of business buzz word soup is often used because the natural definition of the two words are complementary by themselves. But for others who are familiar with the Harvard Business School professor Clayton Christensen and his work, this term has a very specific and insightful meaning. The background is that the concept was born out of years of research by Christensen who, while obtaining a PhD, set out to answer the question “why do successful firms fail?” His conclusion was essentially the idea that startups are able to gain significant market acceptance for their products through simplifying the user experience, lowering the cost and reducing the number of features in a product to a degree that allows a large group of consumers to adopt the product. 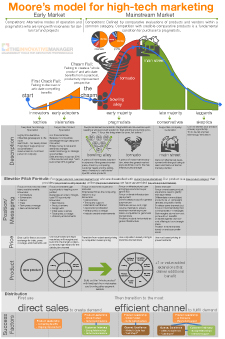 Many companies who have followed this model have been successful disrupting larger, more established organizations and in turn setting themselves apart as leaders in their respective market. While Christensen was researching what caused successful firms to fail, he discovered that the mistake most companies often made was adding too many features to their products – so many that the products became too complicated for their customers to use and expensive enough to cause them to consider alternatives. Because of this, these incumbent organizations would eventually succumb to serious challenges from smaller, nimbler firms. These startups offered a much simpler product with far fewer features at a dramatically lower cost. These emerging products first appealed to less sophisticated (and in most cases, less profitable) customers within a narrow niche. Eventually, however, these products would gain traction by appealing to more sophisticated customers who recognized that they didn’t need all the performance they were paying for with the incumbent provider. After some time the startup would capture a large portion of the market and effectively displace the incumbent company as the new leader. Focus on one job to be done rather than several. Disruptive innovation is all about simplification and removal, the polar opposite of breakthrough innovations. Remove as much cost as possible to make the end price affordable for most users. This often includes more than just product changes and it can mean removing middle men such as distributors and retailers who always add another successive layer of price burden to the product as it goes through the channel. Observe the industry trends regarding vertical integration. Disruptive innovation is usually most successfully done during times of vertical dis-integration, i.e. times when companies and products are becoming more modular and less reliant on their own in-house resources for building the entire solution. This is also referred to as a commoditization phase. It’s usually much easier to implement a low cost, disruptive solution during a time of transition into a modular industry architecture than it is when industries are transitioning into a vertically integrated architecture. As we explore examples, this point will be made more clear. There are many examples of disruptive innovation over the years. One classic example is Dell. When Michael Dell was a college student he realized that he could order parts, assemble computers on his own and ship them directly to his customers over the internet cheaper than he could buy a computer at retail store. This insight led him to create a new business model (disruptive) for selling computers – order online directly from Dell and have it shipped within a few days to the customer. The cost savings were substantial simply because Dell was able to cut out the middle men in the channel. The benefits for the consumer were also slightly higher because it allowed them to customize their computer to meet their exact specifications. This model ushered in an era of dis-integration for the computer industry. Dell was technically not a manufacturer of the computer components but rather an assembler of other outsourced components into a final product. This led to further modular designs in computers and to further modularity in the computer industry. However, as we all know, recently Dell has struggled. 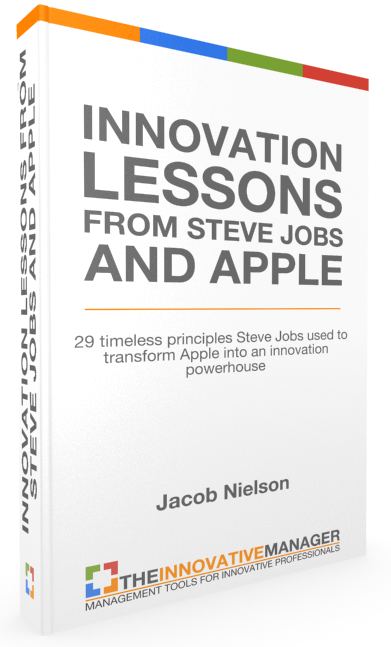 Where they once enjoyed the success of their disruptive business model, the computer industry – led by Apple’s efforts in creating breakthrough innovations such as the iPad – shifted on them. In other words, it wasn’t that Dell had stopped making good computers that led to their decline, it was the fact that computers was the only thing they knew how to make in the first place that became the major problem. The story of Dell illustrates a very important point with regards to strategy and innovation. For some innovations, especially with regards to disruptive and breakthrough, there is a time and a season when chances for success of each can rise and fall. Disruptive innovations tend to do very well after a breakthrough product (such as the PC in it’s early days) has been on the market for a while and is in desperate need of cost reduction efforts. On the other hand, breakthrough innovations tend to do very well after a product has been fully commoditized, such as the PC in recent years. To summarize, Dell’s disruptive business model commoditized PC’s while Apple’s iPad led to a breakthrough in computer technology. In terms of strategic decisions, all these aspects (industry composition with regards to vertical integration as well as a business’ general strategic direction whether cost leader or benefit leader) need to be considered. n some cases products may actually be a unique combination of the four types. For example, in the case of the iPhone there are several component level pieces that were either breakthrough, disruptive or new market. Take the touch screen. Before the iPhone, touchscreens on phones were downright terrible. Most relied on two physical layers touching eachother with the pressure created by your finger (or anything else for that matter). With the iPhone’s glass touchscreen, all the clunkiness of the older screens was gone and a new and beautiful interface was created. 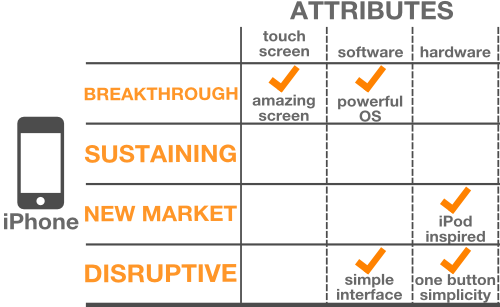 This represented a “breakthrough” in touchscreen technology. However when you consider the software on the iPhone, one could argue that it was both breakthrough and disruptive. Because the software was essentially a dumbed down version of OSX, the OS designed for the Mac, fitting the power of that software into the hardware and size of the iPhone was truly a breakthrough as well. However, many other phone manufacturers – especially Palm – actually had some of the capabilities that iOS had but the interface, usually Windows CE, was very complicated. Therein lies the disruptive component of iOS – with a dramatically simpler design and interface, iOS disrupted the complicated and over-featured software from Microsoft. Remember that in the beginning, iOS didn’t have copy and paste while Windows CE had it for a long time. I hope that through this discussion you have been inspired to know what to create for yourself or your business. With this article, we are really just scratching the surface of what innovation is all about but hopefully this can provide a little guidance in our efforts. What other types of innovation do you see out there? 3 Responses to "The Four Types of Innovation and The Strategic Choices Each One Represents"
How does these innovation principals align with: Incremental, Breakthrough, Transformational?